When EA tells you something in confidence, it&apos;s probably best not to immediately put it on Twitter. Yet one employee of UK retailer Game apparently failed to read the NDA we have no doubt he or she had to sign and tweeted about two games that definitely shouldn&apos;t have been tweeted about. The message has been removed, but you can check out the retailer&apos;s feed for more related to the EA event. Eurogamer managed to save it before it was taken down: "EA presentation was great," it read. "Had mentions of a new Medal of Honour [sic] and Need for Speed 13! EA have an exciting year ahead." As they point out, neither of these titles are unexpected. The new Need for Speed (are they really at 13?) will likely be developed by Hot Pursuit devs Criterion, who were recently caught hiring in relation to an "open world racer." Curious. 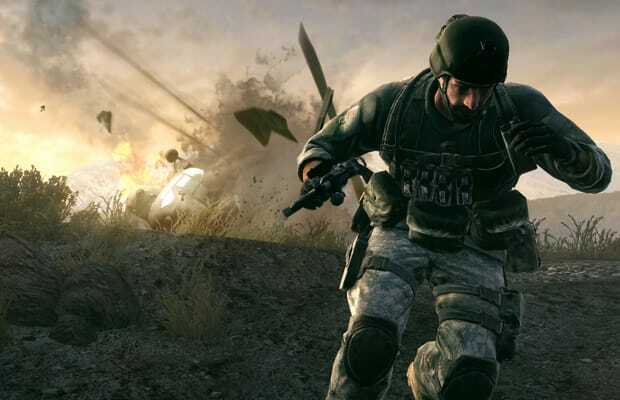 The Medal of Honor sequel has been heard about in whispers around the gaming world, as well. Excited for either of these? Surprised to see yet another leak via an irresponsible Twitterer? Think the whole thing was yet another subtle grift by EA, and they actually told Game to tweet the news and then delete it like it was an accident? Let us know in the comments or on Twitter.